Hondarribia is a lovely fishing town with colourful architecture and mouthwatering cuisine. The well-preserved old quarter is surrounded by a medieval wall. 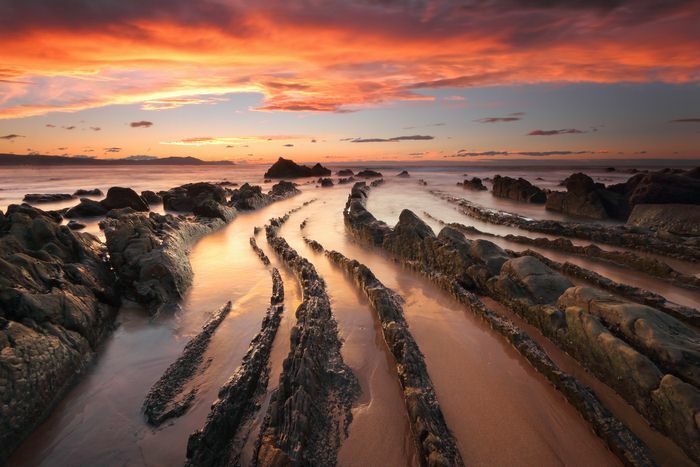 Make sure you see the Plaza de Guipuzkoa and the Marina neighbourhood! 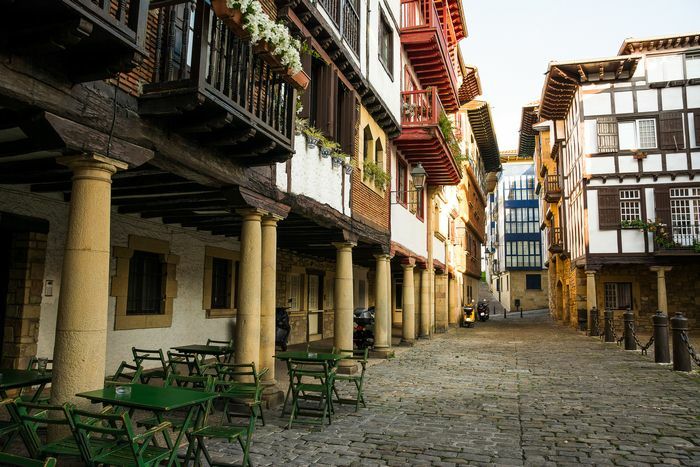 The houses in Hondarribia are built in typical Basque style, with whitewashed walls and painted wooden balconies. As you stroll through the town, you’ll find several baroque buildings and a lovely sandy beach. Hondarribia doesn’t have a railway station, but you can get there from San Sebastián by car or on the bus. Zumaia is set in stunning surroundings at the confluence of the Rivers Urola and Narrondo amid a series of cliffs. The most spectacular aspect is its Flysch landscape: multiple thin layers of limestone and sandstone rock created by the erosion of the sea. Zumaia has a historic town centre that retains its medieval layout and steep, narrow streets. It is also worth visiting the House and Museum of painter Ignacio Zuloaga, where you can see works by Goya, El Greco, Rivera and Zurbarán, among others. And if you’re a fan of Game of Thrones, you’ll be keen to hear that several scenes were shot here. You can get here by bus or train. Getaria is a tiny fishing village surrounded by vineyards producing txakoli, the young, fruity wine typical of the region. If you want to visit the wineries, you’ll find information on the Getariako Txakolina website. It’s also worth visiting the old quarter, the church of San Salvador and the hill of San Antón from the harbour, better known as the Getaria mouse, because of its shape. Are you into fashion? 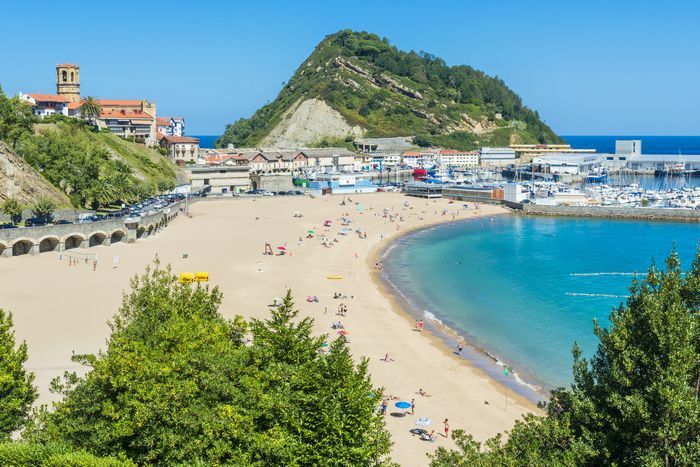 Getaria is the birthplace of fashion designer Cristóbal Balenciaga and there is an interesting museum not to be missed by fans. But he’s not the only famous name from here: Juan Sebastián Elkano, who completed the first circumnavigation of the Earth, was also born in Getaria, where you can find two statues set up in his honour. You can get here from San Sebastián by bus or train.